Should I Learn Qigong or Tai Chi? Why Separate and Combine to Learn Qigong? Further reading on the nature of qigong can be found here: What is Qigong? In China, there are literally hundreds of qigong styles and sets, some simple and some more complex. Although not widely known, tai chi is a specific type of qigong that has standardized movements and a common origin. 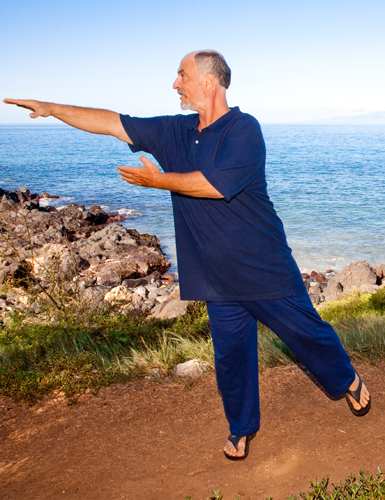 movements for longer tai chi forms. It often takes the average person years of study and practice, and frankly, most people just don’t have the time to dedicate when they first start practicing. The good news is Energy Arts teaches six qigong sets that only have two to eight movements per set. Each qigong set in our system helps you build a solid energetic foundation in your body. 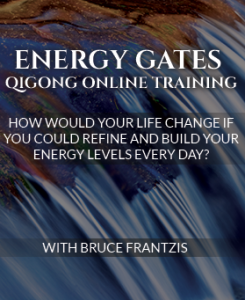 Click here to learn more about Energy Arts’ Qigong courses. Learning qigong takes much less time to learn and can be practiced in more confined spaces. Learning qigong provides an easier way to directly feel what is going on inside your body. Qigong sets can be chosen based on what you want to learn (e.g., moving chi, better breathing, alignments. All of our qigong sets are extremely safe. Learning qigong is traditionally the Taoist preparatory practice for internal arts training, such as bagua, tai chi and hsing-i, as well as energetic healing (qigong tui na) and Taoist meditation. In my teachings, I help students not only understand how lack of clarity causes instability and negative emotions, but I also incorporate mind-to-mind transmissions to give students a recognizable, felt sense of stillness and enthusiasm to fully engage their mind’s intent without force. All Taoist spiritual practice begins with learning qigong. The Taoist Water tradition was described by Lao Tse in the Tao Te Ching over 2,500 years ago. According to this sophisticated tradition, which has been transmitted for millennia from teacher to disciple in an unbroken lineage to the Taoist sage Liu Hung Chieh and from him to Bruce. Grounded spiritual pursuits start with improving the health of the physical body. The practitioner therefore seeks to become relaxed, fully alive and balanced before taking on the more difficult challenges of working with the unseen spirit world. So, learning qigong can be done by people who only want to become physically healthy and do not care about delving deeper into psychological or spiritual matters. For generations, qigong has been used by martial artists, many of whom remained unconcerned with spiritual development. Many people involved with spiritual disciplines focus their attention on enlightenment, and in the process injure their bodies and agitate their minds. They attempt to train in the higher spiritual disciplines without first clearing the energy blocks in their physical and emotional bodies. The Energy Arts System follows classic Taoist training whereby students start by balancing their physical body and its energy, allowing you to not only handle, but also generate increasingly more power for spiritual pursuits in Taoist meditation. Learning qigong is among the most efficient and powerful health maintenance exercises anyone is likely to find. They are gentle, low-impact exercises that are easy on the joints and can be done by people who cannot do other forms of aerobic exercise or yoga, and by the sick or injured. 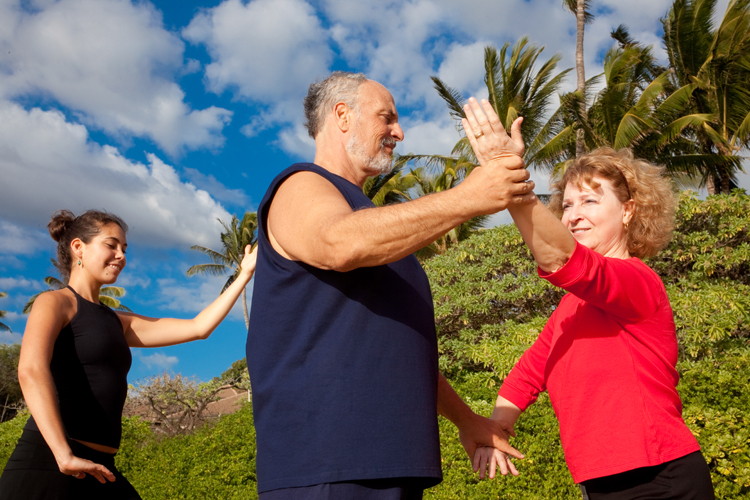 Learning qigong can do wonders to rejuvenate the elderly. In fact, more than 50 percent of the people who begin tai chi and qigong practice in China do so after the age of 60, when the realities of aging can no longer be ignored. Stress has become the disease of the modern age. Energy Arts practices are among the few proven methods that teach you how to heal the root cause of stress—over-burdened, taut and weak nerves. Learning how to progressively relax your nervous system will allow your chi to flow strongly and abundantly. Few Westerners have ever experienced deep relaxation. They are psychologically unprepared for the fact that relaxation can become a norm in life rather than an aberration because they feel stressed most of the time. It is even more difficult for people to realize that the more relaxed they are the more energy, stamina, awareness, clarity and strength they will have. quality of life? Energetic fitness through learning qigong enables the progressive release of tension and anxiety so that relaxation becomes a living reality, and you can open to the joy inside you. This principle is at the core of all Energy Arts teachings. When you start to learn qigong it is important that you first build a solid energetic foundation. 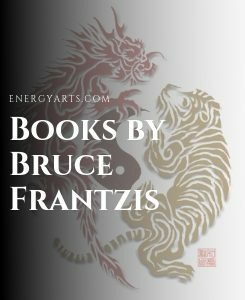 Dragon and Tiger Qigong, Energy Gates Qigong and Heaven and Earth Qigong were created with this in mind. 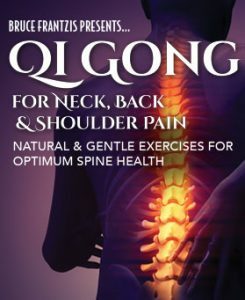 In general, you first learn a specific internal component such as breathing techniques by itself, then you put it into a qigong move. So, you might learn how to breathe with your belly and extend your breath. Then, the next step is to practice a qigong move while you breathe with your belly and extend your breath. 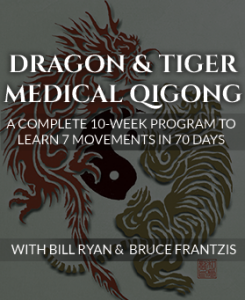 This is the starting point and method of learning to integrate all the internal components into your qigong, tai chi or internal martial arts practice. with no strain or effort. Five of the six qigong sets we teach are linked to the five elements in the Chinese system: Wood, Fire, Water, Metal and Earth. As you learn qigong sets, you will also learn how the energies of the Five Elements flow through the human body. As you get more sensitive, you will understand the underlying nature of the elements, how it affects your body and how it affects your chi. Qigong is an exciting art form and science; a lifelong pursuit that leads you toward personal mastery! Energy Arts qigong sets are designed to take you from a beginner all the way to mastery. We hope you continue to explore all that learning qigong and tai chi has to offer.